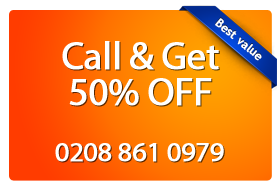 Do you need a reliable carpet cleaning service in Ruislip? Our staff at Magic Carpet Cleaning is carefully vetted, trained and certified. They provide both steam and dry carpet cleaning by using the most advanced cleaning equipment, available today. For additional information, you can find us on 0208 861 0979. Our friendly assistants are ready to help. Magic Carpet Cleaning have experienced cleaners which have always provided services more than it was expected. Our outlet at Ruislip has served many offices and families and has obtained many regular customers. The company has experimented with lot of things to give better service to its customers. All the way from past years it has been implementing new technologies of cleaning and cleaning agents so as to get rid of stains instantly. Professionals are trained and provide very much customer oriented services that makes them best in industry. One can avail this service easily by calling in to the office and asking for it. Fixed rates and affordable prices make it best for use regularly. Whatever be the type of stain, rest assured that our carpet cleaners will remove it, as they have vast knowledge of expertise in the field. They give out the best solutions for cleaning carpets, whenever required. Our phone number is 0208 861 0979. Our customer support is ready to help you at any time of the day. On request, you will receive a completely free price quote. Or you can fill our on-line booking form and we will get in touch with you in no time.